70% of couples experience a decrease in marital satisfaction when they have a new baby. Obviously, this is a challenging time for almost all couples, because of the stress involved. Many women have postpartum depression, because of changing hormones and developing a new routine with a new baby in the marriage. One of the keys to increasing your marital satisfaction during this time is to help your husband become more involved with the duties of raising the new baby. Men often refuse to help or don't realize how important it is to help during this time of great transition. 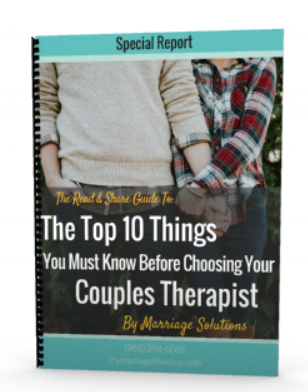 If you don't get help with your marriage at a time like this when it is really needed, divorce is a very real possibility for your marriage. Remember marriage counseling can help your marriage, and help your husband understand what he needs to be doing to improve your marriage. Don't put off getting the help you need. The average couple waits 6 years to get help they need and divorce a year later.